Rev. Archimandrite Chrysostomos Papasarantopoulos (Greek: Χρυσόστομος Παπασαραντόπουλος , 1903–1972) was a pioneering missionary of the Eastern Orthodox Christianity in Uganda, Kenya, Tanzania, and Congo. Rev. Archimandrite Chrysostomos Papasarantopoulos was born Christos Papasarantopoulos in 1903 in Vasilitsi, Messenia, Greece to Theodoros Papasarantopoulos and Stavroula Trigourea (afterwards Nun Sebastiani), the seventh child of the family. He was born into a devout Christian home, and from childhood he devoted his life to Christ. At the age of 10 he lost his father, and was forced to leave school in order to work. At 15 years of age he left his family home in secret and went to settle at the Koroni monastery in order to pursue his longing for the spiritual life; however he soon left this monastery since his relatives would visit him and beg him to return to the family. Afterwards, he went to Kalamata, to the then well-known Hermitage of Panagoulakis (Holy Monastery of the Annunciation of the Virgin Mary),[note 1] known for its strict asceticism; here he became a monk. The excesses of the Igumen there and the very strict lifestyle of that Hermitage overcame him and left him with a permanent health problem. During the years 1920-1929 Archimandrite Chrysostomos stayed at the Gardikiou Monastery, in Messenia. On May 4, 1926 he was ordained into the priesthood, and was appointed as the Igumen of that monastery. He then came to Athens and joined the Petraki Monastery, where his main duty was that of father confessor for people of all ages and walks of life, becoming well respected and loved. In the years of occupation[note 3] Fr. Chrysostomos went to Edessa where he served as the General Hierarchical Vicar and Protosyngellos. Subsequently, he was transferred to Kozani, Thessaloniki, and Athens, where he received his Secondary School Diploma. Eventually he returned again to the Petraki Monastery, from where he determined to enroll in the University of Athens Theological School. At the age of 55, in 1958, he finally received his theological degree. 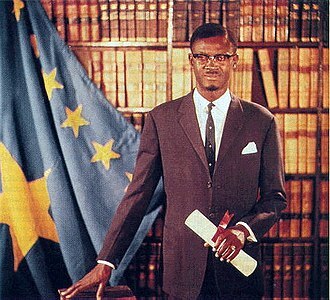 During the course of his studies in Athens he came into contact with certain colleagues of African descent, who may have inspired him towards his forthcoming mission. The African students at the University were from Uganda, and represented the first native Orthodox Christians from Uganda to be formally educated in the Orthodox faith. One of these fellow students, Theodore Nankyamas, would later play a prominent role and become one of the first Orthodox bishops in East Africa. Another, Demetrios Mumbale, would become the first Orthodox physician and founder of an Orthodox medical clinic in Uganda. In the event, after many years of faithful service in his native country, he experienced a strong leading, a true "Macedonian Call,"[note 4] to go as a missionary to Africa. At the age of 57 Fr. 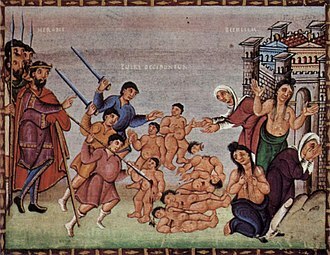 Chrysostomos decided to go on his mission to Africa. The Archbishop at that time, as well as his acquaintances, tried to discourage him on the pretext of his advanced age and state of health. However, during a trip to the Holy Land, he met the Patriarch of Alexandria Christophoros II from whom he obtained the blessing,[note 5] thus resolving to continue the mission. In 1960 Archimandrite Chrysostomos Papasarantopoulos went to Kampala, Uganda, where he worked for ten years before moving to Zaire to begin a new mission there. Through correspondence he also encouraged others to become involved in mission, among them the present Bishop Makarios of Riruta, Kenya. [note 6] After years of repression by the British colonial regime[note 7] and the disingenuous propaganda of the Roman Catholic and Protestant missionaries who supported it, the Orthodox Church was in a perilous state. "...(there are) neither homes, nor churches, nor clergy.[...] the few Greek families here live miles away from each other. Likewise the Black Orthodox are also scattered in tens and hundreds of miles in the four cardinal directions..."
"...by the end of March 1961 the inauguration and opening of the small church of our mission was completed...I have not yet learned the (Bantu) language of Luganda, however I have learned Swahili to a considerable extent. I speak it together mixed with English, and I am understood fairly well." Learning a new language at that age was not easy, but within a year of arriving in Africa, Father Chrysostomos could preach in Swahili. He provided catechesis, he taught, and performed the Divine Liturgy, and baptized numerous of the Indigenous peoples. In addition, he prepared others for the mission, guiding them towards the priesthood. He then expanded the mission to neighbouring Kenya[note 9] and Tanzania (Tanganyika). In Nairobi he created another missionary station, stating "the work (of mission) is progressing, Orthodoxy is expanding." He also completed a translation of the Divine Liturgy and various Prayers into Swahili. Although he made constant appeals for assistance in his correspondence to Greece, inviting others to join the mission, he received no response. 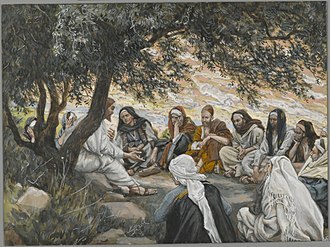 At an advanced age, he preached often. "I love the Africans and am fully convinced that the Lord has brought me here. I hope to use the few remaining days of my old age preaching and teaching here. 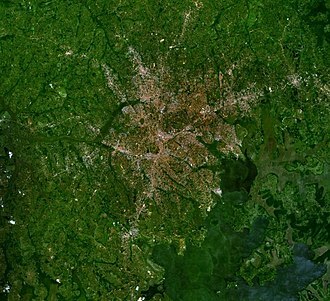 The place I am now located in is a large city (Kananga) of 50,000 people near the central part of the Congo. The people are eager to learn about Orthodox Christianity. But I am old and alone and my capacities are now limited. I don't know how I'll manage, but the Lord Jesus will show me, as He always has in the past. Remember me in your prayers." On December 29, 1985 the Metropolis of Messenia erected a bust of Father Chrysostom in his honor. And on December 29, 1987 the Academy of Athens awarded him posthumously the silver medal of honor. Father Chrysostomos opened the road for modern Orthodox missionary activity in Africa. He started out at 57 years of age all by himself without any aid, and found himself in Africa preaching the Gospel. 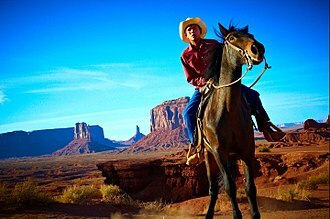 Numerous obstacles confronted him: racism, language barriers, primitive living conditions, lack of funds, limitations imposed upon him by superiors, ill health, poor diet, etc. Not one to despair easily, Fr. Chrysostomos would say that he managed "with God's help". After labouring for twelve years across Uganda, Kenya, Tanzania and Congo, and having learned the Swahili and French languages at a relatively old age, he died in Africa having started a huge task, which was continued with great success. Today there is a Metropolitan of the Orthodox Church in Kinshasa. Father Chrysostomos was the pioneer, who laid the foundations, on which the superstructure of Orthodoxy in Congo was raised up. Kenya is not a small country, but Congo is more than four times the size of Kenya. Father Chrysostomos was always on the move, traveling widely. His life was a continuous round of traveling, preaching, baptizing, planting churches and celebrating the Divine Liturgy. As with all preachers of the Gospel, the full results of Fr. Papasarantopoulos' missionary efforts in Africa will be known only to the Lord of the Church. 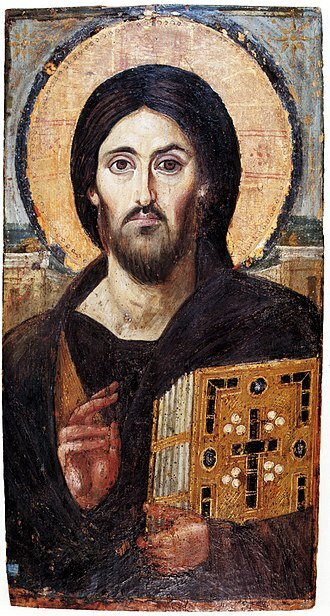 Orthodox history teaches that like prayer, the life of "a righteous man has great power in its effect" (James 5:16). However the seemingly humble ministry of this one missionary, advanced in age before he began, has had a direct effect on the Orthodox Church in both Greece and the United States. Shortly after his departure for Africa from Athens, a new missionary movement began in Greece in 1961 called "The Inter-Orthodox Missionary Center" under the aegis of the Pan-Orthodox Youth movement Syndesmos. ...A new journal entitled Porefthentes (Go Ye), edited by Anastasios G. Yannoulatos accompanied this movement. Through the writings and influence of Yannoulatos, now a bishop and professor at the University of Athens, and this new movement, interest in missions has greatly expanded in Greece over the past twenty years. Today there are at least three missionary societies in that country operating out of Athens, Thessalonike, and Patras, all of which publish journals on missions. 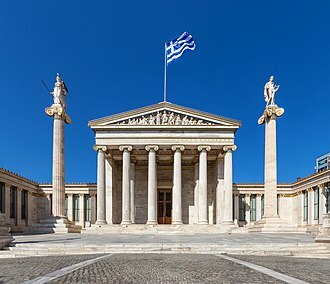 There were no such official organizations existing in modern Greece prior to Fr. Papasarantopoulos' venture of faith in Africa. It is noteworthy that all developed almost immediately after Fr. Papasarantopoulos' correspondence from the mission field began to ignite the faith of his friends and supporters in Greece. A similar phenomenon occurred in the United States. 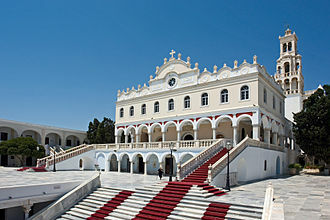 ^ Hermitage of Panagoulakis in Kalamata, Greece (Greek: Ιερά Μονή Ευαγγελισμού της Θεοτόκου Παναγουλάκη). This monastery is currently Old Calendarist and not in communion with the Church of Greece. 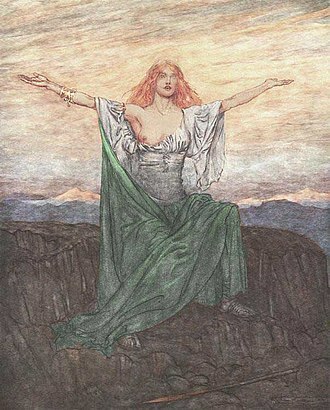 ^ (Greek: Παλαιά Ιερά Μονή Βουλκάνου). 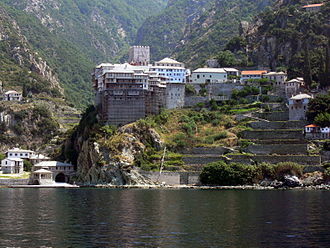 This Byzantine monastery dates from the year 725 A.D. according to tradition. ^ Second World War, and the ensuing Greek Civil War. ^ Formal ecclesiastical permission to undertake an action is referred to as a "blessing". The blessing may be bestowed by a bishop or priest, or by one's own spiritual father. ^ Archbishop Makarios (Tillyrides) of Kenya has been: Bishop of Riruta (1992-1998), Archbishop of Zimbabwe (1998-2001), and Archbishop of Kenya (2001-present). ^ The British Protectorate of Uganda was a protectorate of the British Empire from 1894 to 1962. With the onset of the Mau-Mau Movement (1952-60) in Kenya (British East Africa Protectorate), the Orthodox Church was banished by the British Colonial Government, suffering severe oppression. 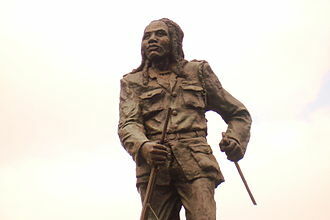 ^ Kenya's post-colonial history started when it became independent on 12 December 1963. ^ Called Zaire from 1971-1997. ^ A very close co-worker with Father Chrysostomos Papasarantopoulos in East Africa had been a Greek Archimandrite named Athanasios Anthidis, who offered his mission work there for many years. On Christmas 1980, Father Athanasios traveled to India to begin a systematic Orthodox Mission in the rural area of Arambah, in West Bengal. He died in 1990, and was succeeded a year later by priest-monk Fr. Ignatios Sennis, who came to Calcutta to continue the mission. 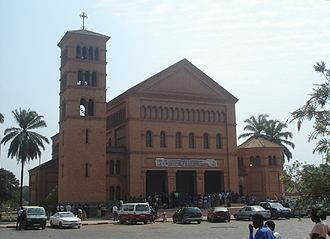 ^ On Sunday 21 October 2012 the Pope and Patriarch of Alexandria and All Africa, Theodoros II, consecrated the Church of Saint Andrew in Kananga, Congo, being the largest Orthodox Church in Africa to date. During his homily, His Beatitude spoke about the vision of the late missionary Fr. Charitonas Pneumatikakis, about the construction of a large Orthodox Church in the region of Kananga, a project which began in 2004 and was completed in 2010 by the then Metropolitan of Central Africa and the current Metropolitan of Pentapoleos, Ignatios. ^ Holy Metropolis of Messenia. Holy Monastery of Gardikiou. ^ a b c Makarios (Tillyrides) of Kenya. Sermon at a Memorial Service for the Pioneer Missionary Rev. Archimandrite Chrysostomos Papasarantopoulos, at the Church of St. Paul, Kagira, 29 December 1993. Adventures in the Unseen, Volume 1. Orthodox Research Institute, 2004. pp.115-119. Lemopoulos, George (ed). You shall be my witnesses. Tertios: Katerini, Greece. 1993. p.67. Zoe Brotherhood (ed.). A Sign of God: Orthodoxy 1964. Athens: Zoe, 1964. p.384. ^ George P. Liacopulos. Church and Society: Orthodox Christian Perspectives, Past Experiences, and Modern Challenges. Somerset Hall Press, 2007. p.260. ^ Censer Archived 2011-07-20 at the Wayback Machine., Dec. 1998. ^ a b c (in Greek) Ο πρώτος Έλληνας Ιεραπόστολος της Αφρικής μακαριστός π. Χρυσόστομος Παπασαραντόπουλος. Ενορια Άγιου Ανδρέα Παγγαιου. Retrieved: 2013-04-19. ^ Fr. John A. Peck. Largest Orthodox Church in Africa Consecrated. October 22, 2012. Retrieved February 8, 2018. Holy Metropolis of Messenia. Holy Monastery of Gardikiou. Stephen Hayes. Orthodox Mission in Tropical Africa. Missionalia (Journal of the Southern African Missiological Society). Aναμνηστικός τόμος Ελληνικής Εταιρείας Ορθοδόξου Εξωτερικής Ιεραποστολής. Αρχιμανδρίτης Χρυσόστομος Παπασαραντόπουλος. Θεσσαλονίκη 1974. Επιμέλεια: Π.Δ.Παπαδημητρακόπουλου. Περιοδικό "Φως Εθνών". Ορθοδόξου Ιεραποστολής "Ο Πρωτόκλητος", τεύχος 114. Aρχιμ. Χαρίτων Πνευματικάκις. Στην Αφρική για το Χριστό ο Αρχιμανδρίτης Χρυσόστομος Παπασαρντόπουλος. Papasarantopoulos, Chrysostom. A report on the missionary work carried out in the Metropolis of Eirinoupolis (East Africa). Porefthendes. Athens, 5, 1963, 2-3. As of December 4, 2010, this article is derived in whole or in part from Orthodox Wiki. The copyright holder has licensed the content in a manner that permits reuse under CC BY-SA 3.0 and GFDL. All relevant terms must be followed. The original text was at "Chrysostomos Papasarantopoulos". Lubumbashi in the southeastern part of Democratic Republic of the Congo, is the second-largest city in the country, the largest being the capital, Kinshasa. 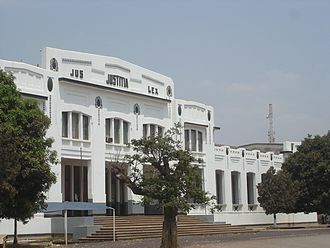 Lubumbashi is the capital of the Democratic Republic of the Congo. The copper-mining city serves as the capital of the relatively prosperous Katanga Province and is near the border with Zambia, population estimates vary widely but average around 1.5 million. From 2000–2006, Floribert Kaseba Makunko served as mayor of Lubumbashi and he was elected to the National Assembly in 2006. The Belgian government established the government in the city of Élisabethville in 1910, named in honour of their queen Elisabeth. By that time, the government had taken over the colony from King Leopold II, the Comité Spécial du Katanga, a semi-private concessionary company set up in 1906, had its headquarters in Elisabethville throughout the colonial era. It enjoyed major privileges, mainly in terms of land and mining concessions, the city prospered with the development of a regional copper mining industry. Huge investments in the 1920s, both in the industry and in transport infrastructure, developed the Katanga province into one of the worlds major copper ore producers. The population of the city grew apace from approx,30,000 in 1930, to 50,000 in 1943 and 180,000 in 1957. 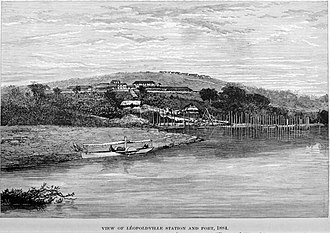 It was the city of the Belgian Congo, after Léopoldville. As was customary in sub-Saharan colonies, the city centre of Elisabethville was reserved for the white population and this consisted mainly of Belgian nationals, but the city attracted important British and Italian communities, as well as Jewish Greeks. Congolese were allowed in the city only during the day. Many men in the population were labour immigrants from neighbouring regions in the Belgian Congo, from Belgian Rwanda and Burundi. The black population lived initially in a so-called cité indigène called quartier Albert, south of the city centre, with population growth, new indigenous quarters were created. 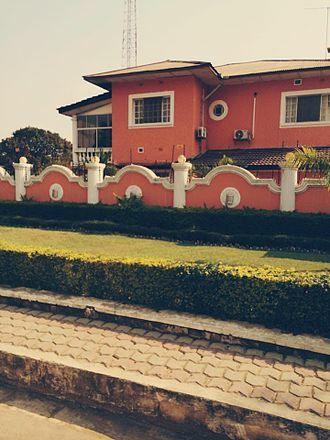 These still form the suburbs of present-day Lubumbashi, Katuba. Tonsure /ˈtɒnʃər/ is the practice of cutting or shaving some or all of the hair on the scalp, as a sign of religious devotion or humility. The term originates from the Latin word tōnsūra and referred to a practice in medieval Catholicism. Current usage more generally refers to cutting or shaving for monks, devotees, or mystics of any religion as a symbol of their renunciation of worldly fashion and esteem. Tonsure refers to the practice of shaving all or part of the scalp to show support or sympathy. Tonsure is still a practice in Catholicism by specific religious orders. It is used in the Eastern Orthodox Church for newly baptized members and is frequently used for Buddhist novices. It exists as a practice in Islam after completion of the hajj and is practiced by a number of Hindu religious orders. Tonsure is usually the part of three rites of passages in the life of the individual in Hinduism, the first is called Chudakarana, known as choulam, chudakarma, or mundana marks the childs first haircut, typically the shaving of the head. 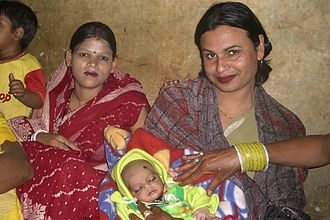 The mother dresses up, sometimes in her wedding sari, and with the father present, sometimes, a tuft of hair is left to cover the soft spot near the top of babys head. Both boys and girls go through this ceremony, sometimes near a temple or a river. The significance of Chudakarana rite of passage is the babys cyclical step to hygiene, the ritual is typically done about the first birthday, but some texts recommend that it be completed before the third or the seventh year. Sometimes, this ritual is combined with the rite of passage of Upanayana, the second rite of passage in Hinduism that sometimes involves tonsure is at the Upanayana, the sanskara marking a childs entry into school. Another rite of passage where tonsure is practiced by Hindus is after the death and completing the last rites of a family member. This ritual is found in India among male mourners, who shave their heads as a sign of bereavement. According to Jamanadas, tonsure was originally a Buddhist custom and was adopted by Hinduism, however and others trace the practice to Sanskrit texts dated to have been composed before the birth of Buddha, which mention tonsure as a rite of passage. Kananga, formerly known as Luluabourg or Luluaburg, is the capital city of the Lulua Province in the Democratic Republic of the Congo and was the capital of the former Kasaï-Occidental Province. 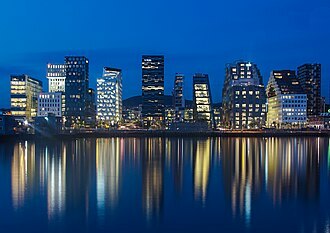 The city has an population of 463,556. The city lies near the Lulua River, a tributary of the Kasai River, an important commercial and administrative centre, it is home to a museum and to Kananga Airport. German explorer Hermann Wissmann established a station in the area around present-day Kananga, Wissmann named the station Malandji, a name suggested by his 400 carriers, who were from the city of Malanje in Angola. Later on, with the construction of the railway on the bank of the river, the station was moved. The old location is named Malandji-Makulu to this day, due to multiple political setbacks, and particularly the secession attempt by Albert Kalonji and his South Kasai, this decision was never implemented. 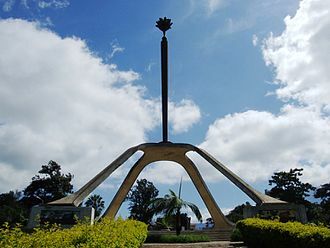 When the central government reconquered South Kasai in 1962, Luluabourg became the capital of the new Kasai-Occidental province, Kananga was the site of the drafting of the first Congolese-written constitution for the Democratic Republic of the Congo, in 1964. Edessa, known as city of waters, is a city in northern Greece and the capital of the Pella regional unit, in the Central Macedonia region of Greece. It was the capital of the province of the same name. 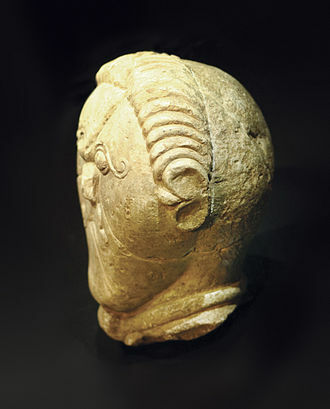 Edessa holds a place in the history of the Greek world as, according to some ancient sources. In the modern period, Edessa was one of Greeces industrial centers until the middle of the 20th century, with textile factories operating in the city. Today however its economy relies on services and tourism. Edessa hosts most of the services of the Pella regional unit. The Greek name Ἔδεσσα means tower in the water and is thought to be of Phrygian origin. The Slavic name Vodĭnŭ was first attested in the 10th century, vodená was the name used in Greek until 1923, when the ancient name was revived. The Bulgarian and Macedonian Slavic name remains Voden, in Turkish, the city is known as Vodina, and in Aromanian the city is known as either Edessa, Vudena or Vodina. Seleucus I Nicator named the city of Edessa in Mesopotamia after the Macedonian Edessa.212 km2, archaeological remains have been discovered on the site of ancient Edessa, just below the modern city. The walls and many buildings have been unearthed so far, a colonnade with inscription in Greek dates from Roman times. The city achieved certain prominence in the first centuries AD, being located on the Via Egnatia, from 27 BC to 268 AD it had its own mint. 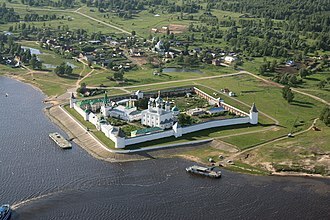 The Orthodox Christian Saint Vassa and her three children were put to death here in the 3rd century AD, little is known about the fate of the city after 500 AD, but we know that its Greek bishop, participated in the Ecumenical Council of 692. The Bulgarian historian Vasil Zlatarski hypothesized that it was Vodena, and not Vidin on the Danube, the city was for some time under control of Radoslav Hlapen, who gave it as dowry to his son-in-law Nikola Bagaš probably around 1366/7. The city remained in Bagašs hands at least until 1385 and it fell to the Ottoman war leader Evrenos Bey in the late 14th century, along with the rest of Macedonia. During the period of Ottoman rule, the Turkish and Muslim component of the population steadily increased. Kalamata is the second most populous city of the Peloponnese peninsula, after Patras, in southern Greece and the largest city of the homonymous administrative region. The capital and chief port of the Messenia regional unit, it lies along the Nedon River at the head of the Messenian Gulf, the 2011 census recorded 69,849 inhabitants for the wider Kalamata Municipality, of which 62,409 in the municipal unit of Kalamata proper. Kalamata is renowned as the land of the Kalamatianos dance and Kalamata olives, the modern name Kalamáta is a corruption of the older name Καλάμαι, Kalámai, reeds. The phonetic similarity of Kalamáta with the phrase kalá mátia has led to folk etymologies.313 km2. Its territory corresponded with that of the current municipalities Kalamata and West Mani, the history of Kalamata begins with Homer, who mentions Pharai, an ancient city built more or less where the Kalamata Castle stands today. 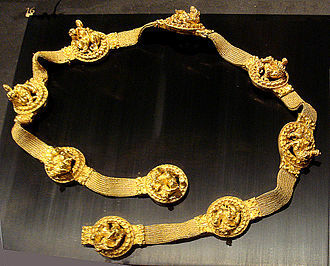 Pharai was rather unimportant in antiquity, and the site continued in obscurity until middle Byzantine times, Kalamata is first mentioned in the 10th-century Life of St. Prince William II of Villehardouin was born and died there, in the event, the town was recovered by the Franks through the intercession of a local Greek, a certain Sgouromalles. In 1298, the formed the dowry of Princess Matilda of Hainaut upon her marriage to Guy II de la Roche. Matilda retained Kalamata as her fief until 1322, when she was dispossessed, in 1358, Prince Robert gifted the châtellenie of Kalamata to his wife, Marie de Bourbon, who kept it until her death in 1377. Kalamata remained in Frankish hands until near the end of the Principality of Achaea, Kalamata was occupied by the Ottomans from 1481 to 1685, like the rest of Greece. He was soon forced to return to Crete, but the Venetians returned in the Morean War. 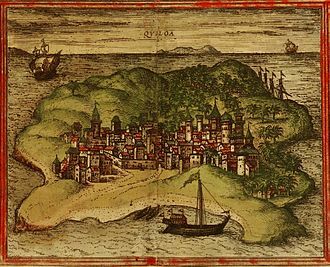 The Venetian Republic ruled Kalamata from 1685 as part of the Kingdom of the Morea, during the Venetian occupation the city was fortified and thrived economically. However, the Ottomans reoccupied Kalamata in the war of 1715, Kalamata was the first city to be liberated as the Greeks rose in the Greek War of Independence. Gabriel told Mary to name her son Yehoshua, meaning YHWH is salvation. According to Luke 1,26, the Annunciation occurred in the month of Elizabeths pregnancy with John the Baptist. Many Christians observe this event with the Feast of the Annunciation on 25 March, an approximation of the vernal equinox nine full months before Christmas. In England, this came to be known as Lady Day and it marked the new year until 1752. The 2nd-century writer Irenaeus of Lyon regarded the conception of Jesus as 25 March coinciding with the Passion, the Annunciation has been a key topic in Christian art in general, as well as in Marian art in the Catholic Church, particularly during the Middle Ages and Renaissance. A work of art depicting the Annunciation is sometimes called an Annunciation. 28 And the angel came in unto her, and said, thou that art highly favoured,29 And when she saw him, she was troubled at his saying, and cast in her mind what manner of salutation this should be. 30 And the angel said unto her, Fear not, Mary,31 And, thou shalt conceive in thy womb, and bring forth a son, and shalt call his name JESUS. 34 Then said Mary unto the angel, How shall this be,36 And, thy cousin Elisabeth, she hath conceived a son in her old age, and this is the sixth month with her, who was called barren. 37 For with God nothing shall be impossible,38 And Mary said, Behold the handmaid of the Lord, be it unto me according to thy word. And the angel departed from her,19 Then Joseph her husband, being a just man, and not willing to make her a publick example, was minded to put her away privily. 21 And she shall bring forth a son, and thou shalt call his name JESUS,35 In answer the angel said to her, Holy spirit will come upon you, and power of the Most High will overshadow you. And for that reason the one who is born will be called holy, manuscript 4Q246 of the Dead Sea Scrolls reads, shall be great upon the earth. O king, all people shall make peace, and all shall serve him and he shall be called the son of the Great God, and by his name shall he be hailed as the Son of God, and they shall call him Son of the Most High. 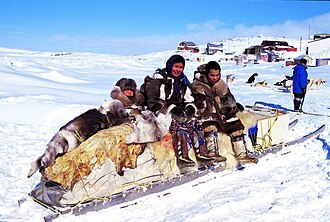 In several countries, celebrating Christmas Eve on December 24 has the main focus rather than December 25, with gift-giving and sharing a traditional meal with the family. Although the month and date of Jesus birth are unknown, by the fourth century the Western Christian Church had placed Christmas on December 25. Today, most Christians celebrate on December 25 in the Gregorian calendar and this is not a disagreement over the date of Christmas as such, but rather a preference of which calendar should be used to determine the day that is December 25. Although it is not known why December 25 became a date of celebration, December 25 was the date the Romans marked as the winter solstice, the shortest, and therefore darkest day of the year. Jesus was identified with the Sun based on an Old Testament verse, the date is exactly nine months following Annunciation, when the conception of Jesus is celebrated. Finally, the Romans had a series of pagan festivals near the end of the year, so Christmas may have been scheduled at this time to appropriate, or compete with, one or more of these festivals. The celebratory customs associated in various countries with Christmas have a mix of pre-Christian, the economic impact of Christmas has grown steadily over the past few centuries in many regions of the world. Christmas is a form of Christs mass. It is derived from the Middle English Cristemasse, which is from Old English Crīstesmæsse, crīst is from Greek Khrīstos, a translation of Hebrew Māšîaḥ, meaning anointed, and mæsse is from Latin missa, the celebration of the Eucharist. The form Christenmas was used, but is now considered archaic and dialectal, it derives from Middle English Cristenmasse. In addition to Christmas, the holiday has been known by other names throughout its history. The Anglo-Saxons referred to the feast as midwinter, or, more rarely, meaning birth, is from Latin nātīvitās. In Old English, Gēola referred to the corresponding to December and January. 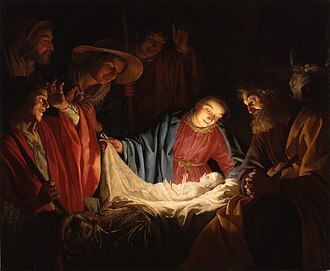 Noel entered English in the late 14th century and is from the Old French noël or naël, itself ultimately from the Latin nātālis, the canonical gospels of Luke and Matthew both describe Jesus as being born in Bethlehem in Judea, to a virgin mother. In Roman Catholic settings, the traditional style of confessional allows the priest, seated in the center, to hear from penitents on alternating sides. Statue of Socrates with the Apollo column in the background (by sculptor Leonidas Drosis). Detail of stone carving of Sphinx on the facade. The Byzantine-era Church of the Holy Apostles. Capture of Koroni during the Morea expedition by General Sebastiani (Hippolyte Lecomte).